Nalsar Hyderabad earned 8 more MPL points by finishing second at The Leiden-Sarin International Air Law Moot Court Competition 2011 after losing the finals to McGill University, Canada. Nalsar has now crossed the 150-point mark in the MPL 2 sponsored by Allen & Overy and continues to top the MPL 2 standings with 154 points. 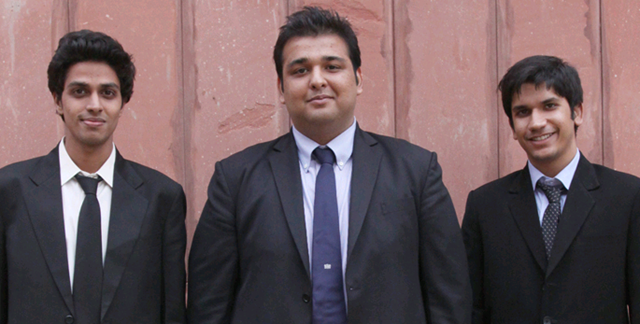 NLU Delhi was the other Indian team to earn MPL points at the moot. Its speaker Nida Doon (pictured left) bagged the best speaker award. 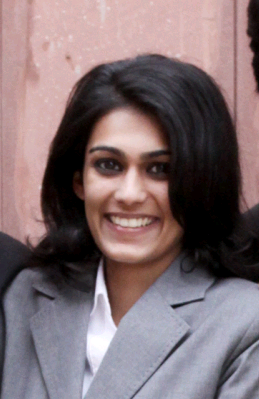 Separately she was also awarded a full paid scholarship, worth 15,000 EUR (Rs 9.6 lakh), to Leiden University for the LL.M. in Air and Space Law. Each year, the scholarship is dedicated to an Indian national because India played a pivotal role in conceiving the idea of the moot. Nitin Sarin from Sarin Memorial Legal Aid Foundation confirmed the results and said that the moot was held in conjunction with the International Institute of Air and Space Law of Leiden University, the Netherlands and the Dubai Civil Aviation Authority. The judges for the finals were Judge Gilbert Guillaume (Former President of the International Court of Justice and presently a sitting Judge), Judge Dr. Ali Ibrahim Alimam (Chief Justice of the Cassation Court, UAE) and Dr. Gefang Huang (Legal Department, International Civil Aviation Organisation, Montreal, Canada). The winning team (pictured left) was also awarded a 2 hour exclusive session on a Level-D flight simulator by flyanairliner.com, Amsterdam, The Netherlands. The 2012 moot is to be held in Istanbul, Turkey. ISRO Manfred Lachs results to be updated shortly. After achieving ground dominance my boys have achieved air dominance as well !!! leave out pattons and shermans, my mustangs have downed their messerschmidts with great ease !!! Soon my boys shall conquer space as well and the war shall truly be won !!! Hats off to NALSAR! You are the Mooting King! who won ISRO MAN LACHS ? There's some Nalsar stuff for you! Go Nalsar. Congratulations to the Nalsarites who won this moot. Great Going! Keep up the lead and surely you shall be the undoubted champion again.